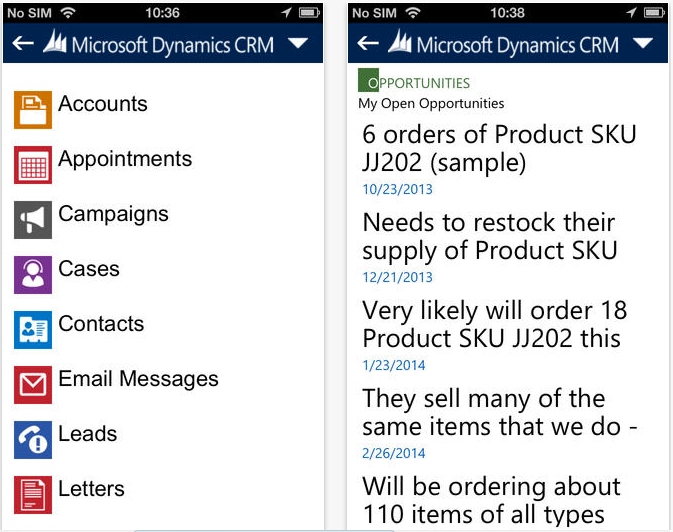 Microsoft’s Dynamics CRM, a subscription-based customer relationship management tool aimed at small & medium enterprises, is now available on the iPhone via a new app. The cloud-based service aims to help businesses identify and manage sales opportunities, and track progress from opportunity to sale. The iPhone app provides users with the information needed to prepare for a sales appointment, and allows on-the-spot updating of notes, tasks, contacts, accounts, leads and opportunities. The service costs £28.70 per user per month.